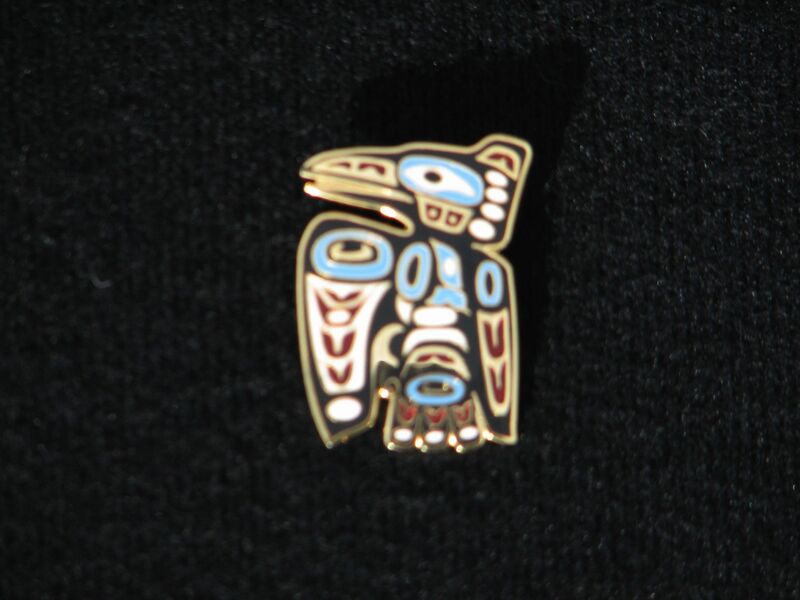 Raven was considered the Creator and Bringer of Enlightenment to the Natives of the Northwest Coast. It was also one of the two main clans and represented spirituality, cunning and transformation. Cloisonne on brass about 1 1/4 inch high.